September 15th. 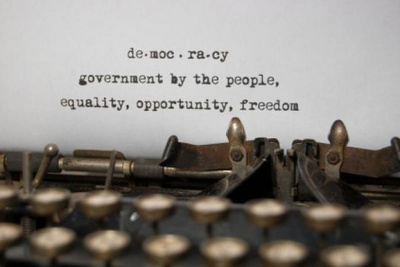 Democracy is a universal value based on the freely expressed will of people to determine their own political, economic, social and cultural systems and their full participation in all aspects of their lives. Activities carried out by the United Nations in support of efforts of Governments to promote and consolidate democracy are undertaken in accordance with the UN Charter, and only at the specific request of the Member States concerned. Globally, the role of civil society has never been more important than this year, as the world prepares to implement a new development agenda, agreed to by all the world’s Governments. However, for civil society activists and organizations in a range of countries covering every continent, space is shrinking — or even closing — as some Governments have adopted restrictions that limit the ability of NGOs to work or to receive funding. That is why the theme of this year’s International Day of Democracy is "Space for Civil Society." It is a reminder to Governments everywhere that the hallmark of successful and stable democracies is the presence of a strong and freely operating civil society -- in which Government and civil society work together for common goals for a better future, and at the same time, civil society helps keep Government accountable. Indeed, it is all well and good to remember, commemorate and even celebrate. It is even better to translate the theory into the practice and explore the causes that are causing the space occupied by democracy and a democratic society to shrink as we speak. There is an alarming lack of vigilance and concern in this regard. One of the often contemptuously neglected phenomenon is that of the interface of religion and democracy. We need to begin to view them as complementary to each other, rather than antagonistic to each other. The ancient Greeks were too philosophically wise to neglect such an interaction.